Some dog bite wounds appear minor at first, but in reality, they can be very deep puncture wounds. Deep wounds are more prone to infections, which can be absolutely detrimental if proper medical care is not provided quickly. Contrary to the popular belief that a dog’s mouth is cleaner than a human’s, the bacteria in a dog’s mouth can cause a bite to become infected quickly, even if it was just a small issue to begin with. Here are some signs that could indicate your dog bite wound is infected and what you need to do about it. If the wound is secreting foul-smelling or yellowish discharge, this is a sign that there may be an infection deep inside. Don’t try to push the discharge out — this is painful and unlikely to be effective. While it’s normal for a dog bite wound to be a little red and tender, especially while it’s still fresh, this symptom should minimize itself as the bite heals. If it does not get better, or gets significantly worse, you may have an infection. This is particularly true if the bite also feels warm or hot to the touch. If you see red streaks coming from the wound and traveling elsewhere on your body (usually toward the heart), this is a clear sign that your bite is infected and needs medical treatment right away. Often called “blood poisoning”, red streaks indicate that the bacteria is traveling through the bloodstream. Without prompt treatment, this could lead to sepsis and in some cases, may be fatal. If you are experiencing a fever or body aches and chills after being bitten by a dog, this is a sign that your immune system is fighting off an infection. The fact that your whole immune system has gotten involved is an important sign that the infection may be serious, versus a local infection that can be rectified with some antibiotic ointment and good old fashioned cleaning. If you were bitten by a dog and suspect the bite wound may be infected, you need prompt medical treatment as soon as possible. You should also contact an attorney to discuss compensation. 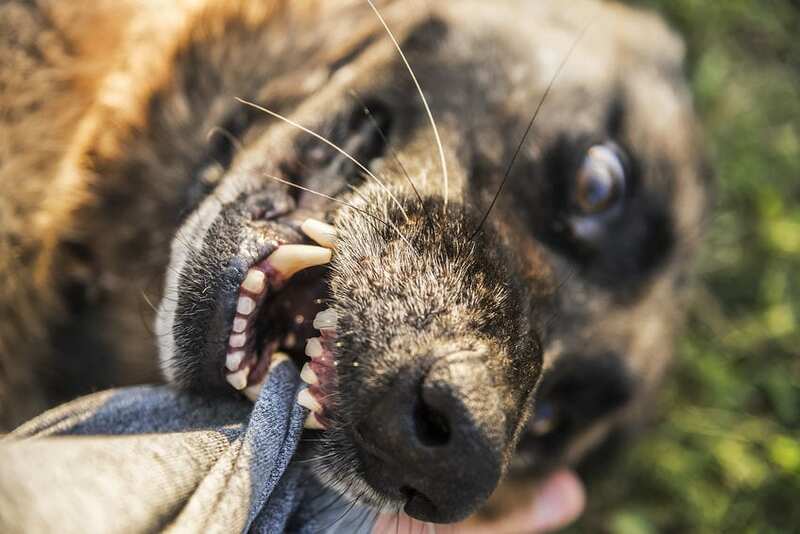 Treatment for dog bites can be costly, and if the owner of the dog was negligent, you may be able to hold them financially responsible for the damages you incurred. Contact Appalachian Injury Law today for a consultation at 800-393-8595.